I wish I could say that I'm writing this sat in the sunshine enjoying the Great British summer however, its raining and I'm cuddled up on the sofa feeling cosy instead! I thought it was meant to be sunny in July? 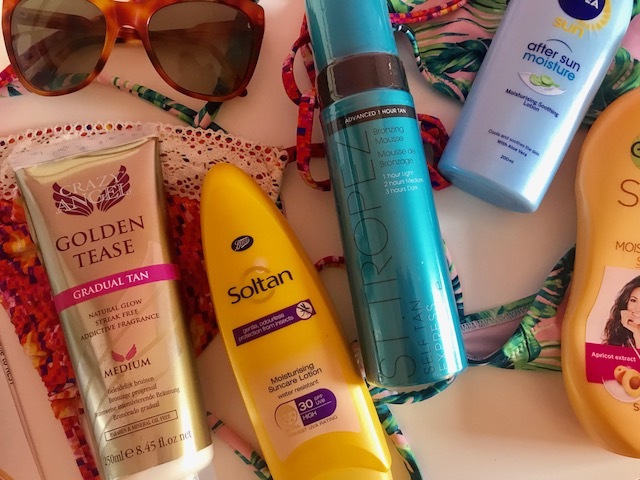 Anyway, I will channel my inner summer vibes and carry on telling you all about my favourite products that are perfect for the 'summer' / your summer holiday! You may have seen that I recently went on a family holiday to Spain so I had a lovely week of 31 degree heat, yep it was wayyyy too hot! Especially in the evenings it was actually hard to sleep however we still had an amazing time and it was great to just get away and relax. 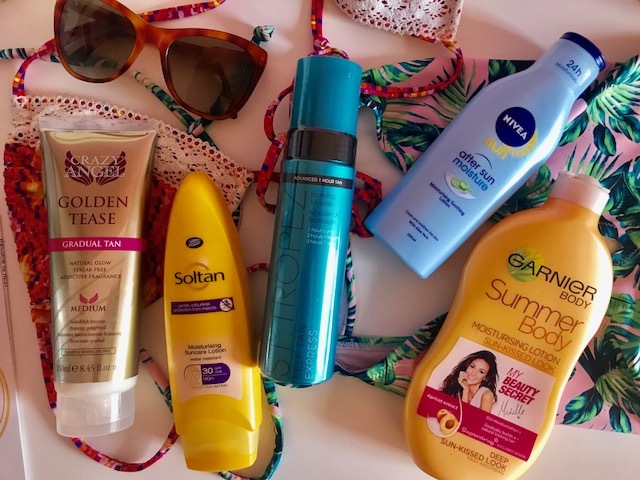 Today I wanted to share some of my favourite products that I use not only on holiday but throughout the summer too! Aftersun is such a must have product in my opinion. Regardless as to whether you are sunburnt or not you should always apply aftersun not only to take care of your skin but it actually helps your tan to last longer so why would you not! Holiday Gems have written a handy tips post on how to stay safe in the sun this summer! While I was away this year I really tried to ensure that I applied lots of sun creme regularly, stayed hydrated and made sure I sat in the shade as often as possible! I normally am all about getting a tan but this year I think I have been educated more to make sure I look after my skin and stay safe in the sun (after a few years of bad sunburn). Its all about the fake tan this summer and by fake I do not mean heading to the sun bed shop! One of my favourite tan brands is St Tropez. Every product I have tried from them I have loved and this one is no exception. The self tan express is perfect as it gets that beautiful golden glow without the faff of having to put it on the night before then washing it off. However, if your wanting something a bit subtler gradual tans are the perfect choice! I use these all year round and especially once I'm home from my holiday as it really helps to keep your tan for longer! 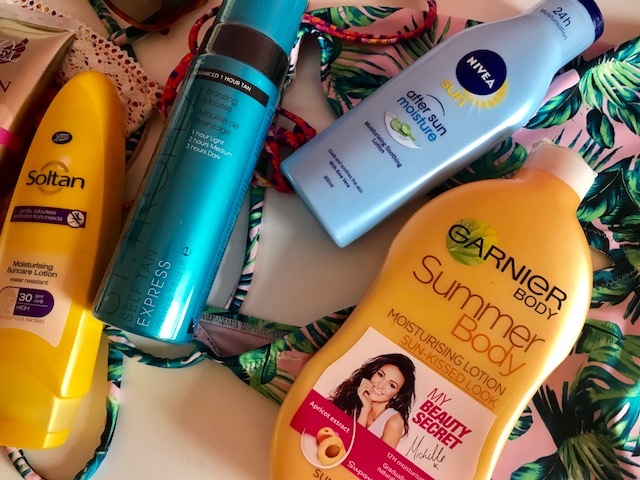 I love the Garnier body Summer body, moisturiser I think its a great moisturiser and it does give you a great summer glow! What are your favourite summer skin beauty products?